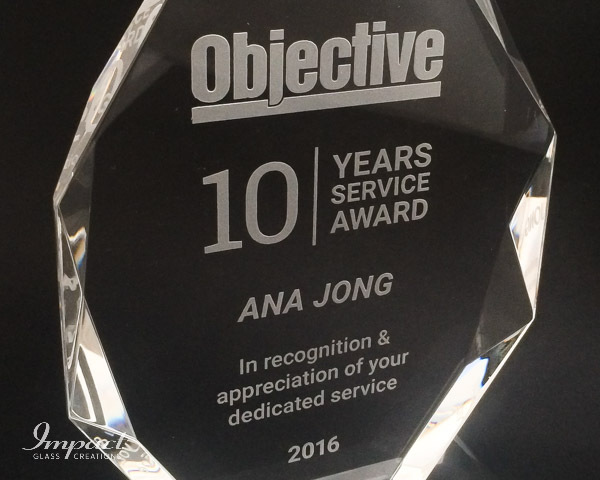 A striking example displaying the way that award sizes can be effectively used to convey years of service. 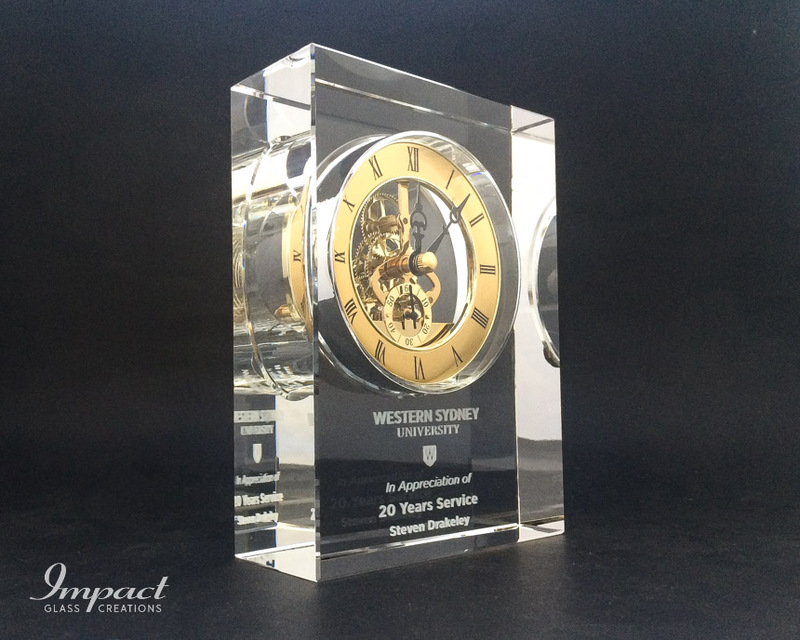 Thick crystal carefully cut and polished to maintain the symmetry of the design, mounted on a bevelled base, oozes value and appreciation. 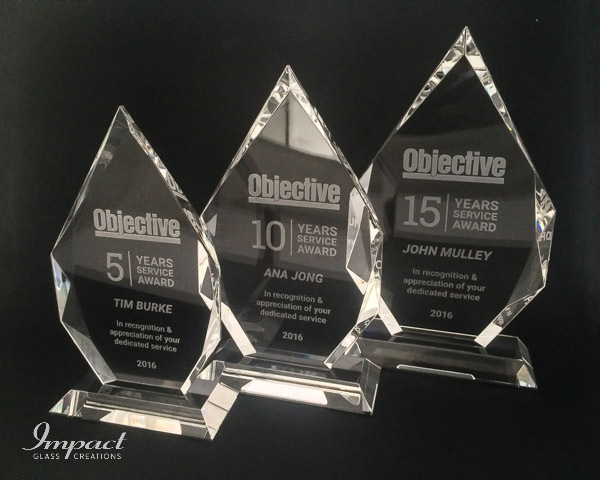 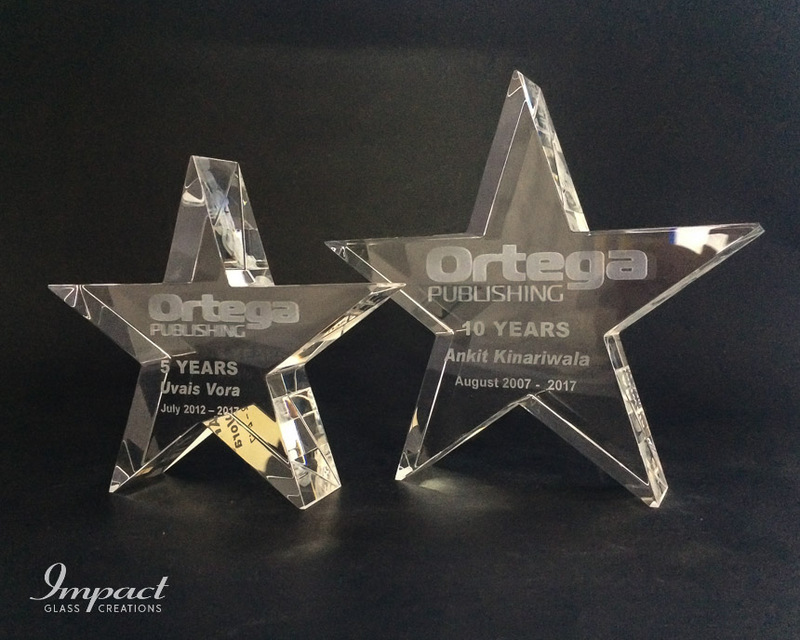 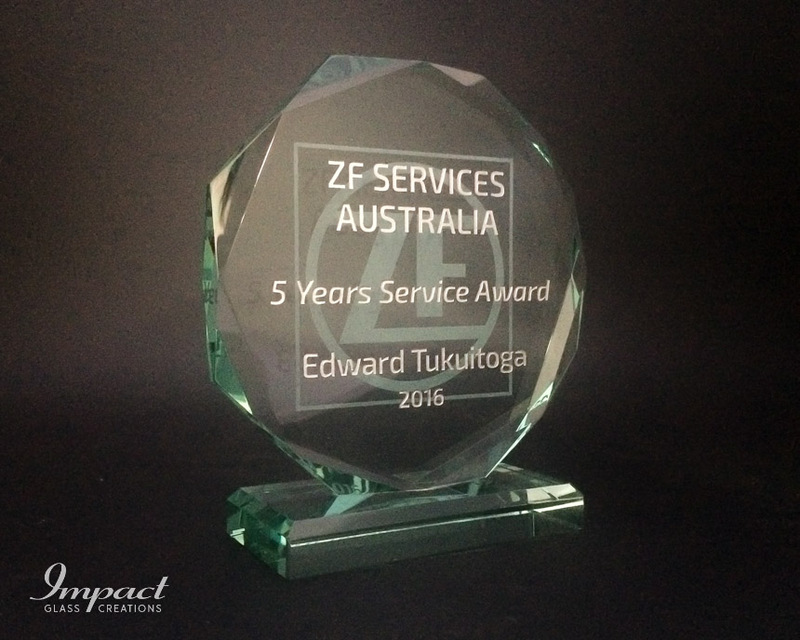 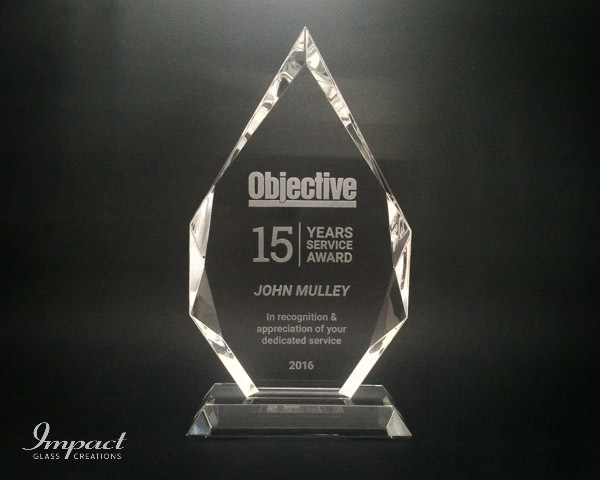 Tailored to provide a tier of sizes, each personalised with surface engraving of text and logo with the facets of the uprights reflect colour and sparkle, creating a high-value recognition award.